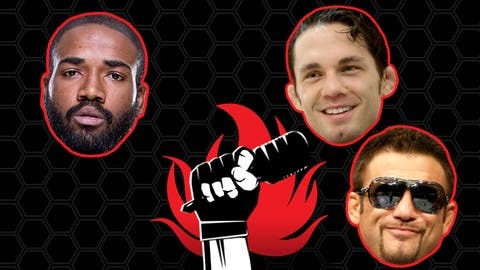 Bobby Green, Phil Baroni and co-host Jake Ellenberger turn up the head on this week's show. Round one winner of the "Who Wants To Replace T-Rexx" Contest, UFC Welterweight, Jake Ellenberger joins the show as co-host. Adam talks about his continued training with BJJ monsters. "The Juggernaut" discusses his injury and about pulling out in his fighter versus Tarec Saffiedine. The guys dive into Jake’s wrestling beginnings at the college level amazingly without any prior experience. Then, Phil Baroni, shares his extreme displeasure with Ben Askren and another "That Story’s Baroni". Finally, rounding off the show UFC fighter Bobby Green comes on to discuss his upcoming fight with Abel Trujillo and during a fight do guys over-exaggerate the effects of getting kicked in the family jewels.